This class is designed for energetic, thrill seeking, active boys and girls that enjoy movement and structural challenges. 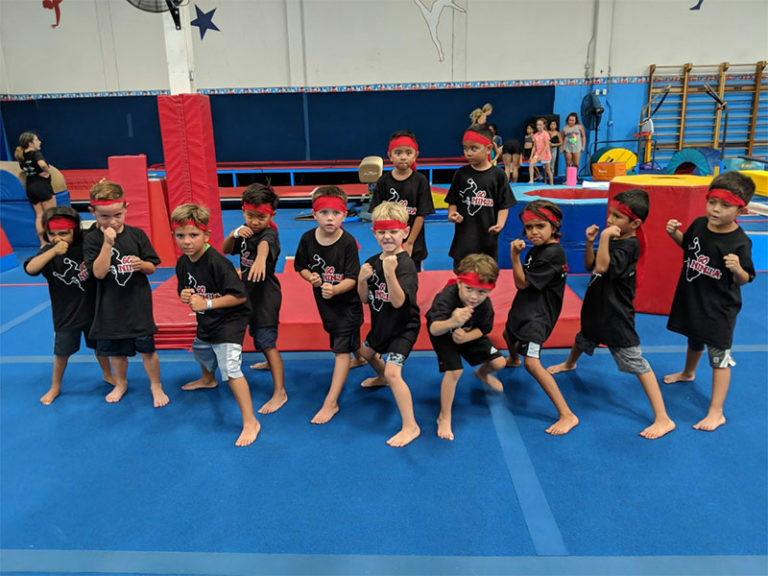 Our Ninja Kids class will introduce basic body movements with size appropriate obstacles and skills to make their experience safe and successful. 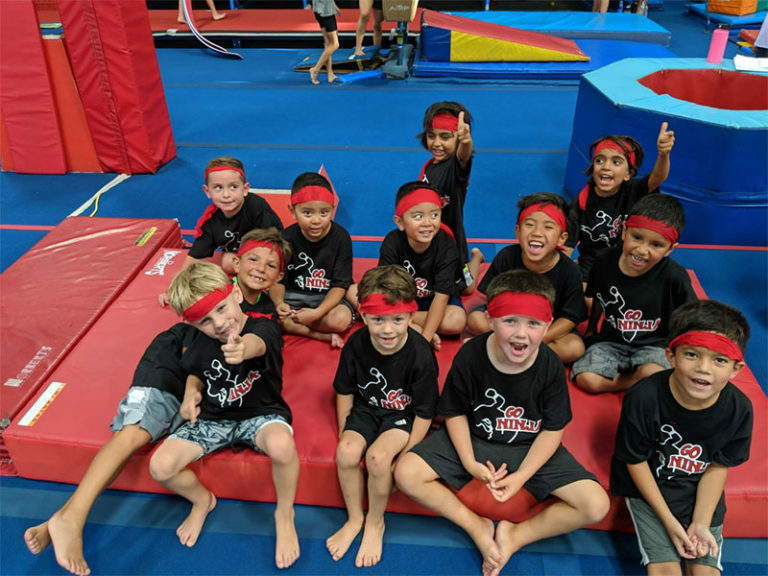 One of our fastest growing programs of all times boys and girls enjoy the fast pace and challenging workout they get with our NINJA Star program. We have 2 levels of classes that variate primarily by age and secondly by skill. This program proves that gymnastics is a presence in all movements and transcend to various athletic activities which is beneficial for all participants. 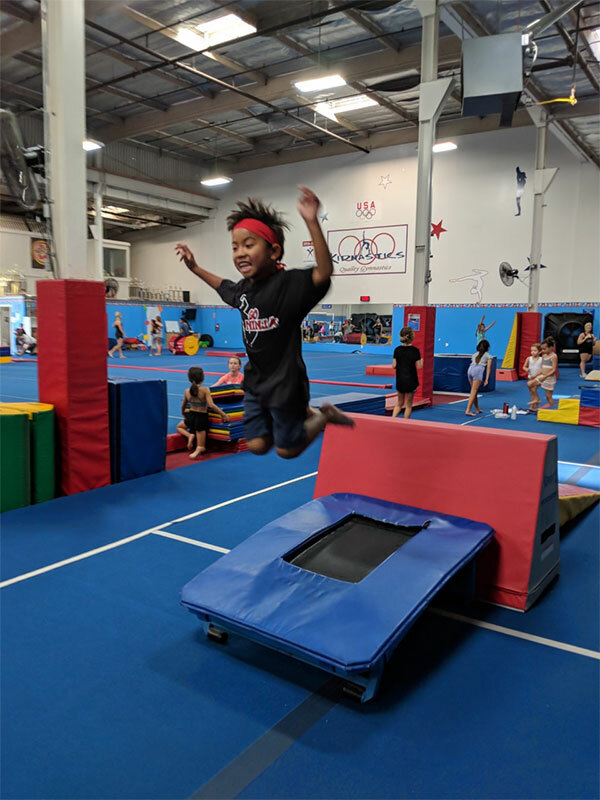 The Ninja Stars program is an instructional class designed for children ages 4 -15 years which teach fundamental gymnastics skills, trampoline, running tumbling, increased strength, agility, and spatial awareness. 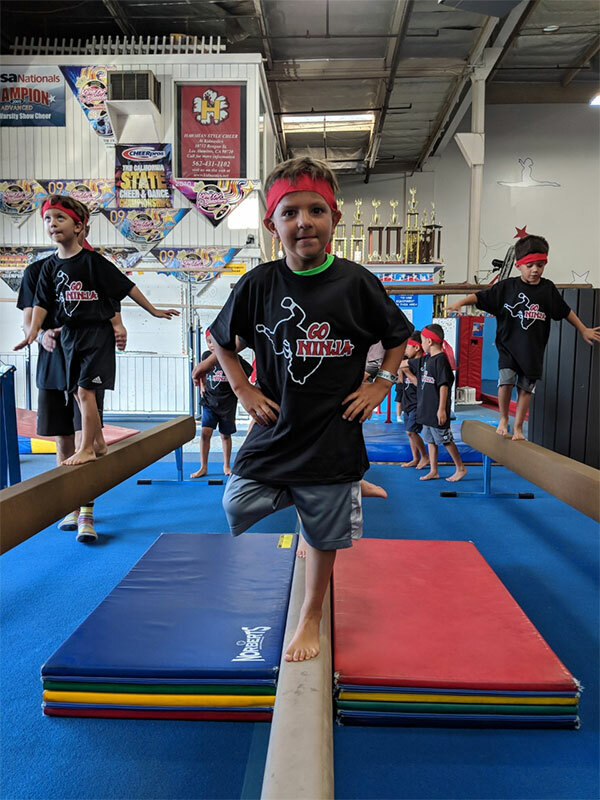 Ninja Stars program goal curriculum includes obstacle training as seen on the HIT television series American Ninja Warrior; each child will achieve their personal bests by getting faster, stronger and more agile for building confidence, self esteem, and character. 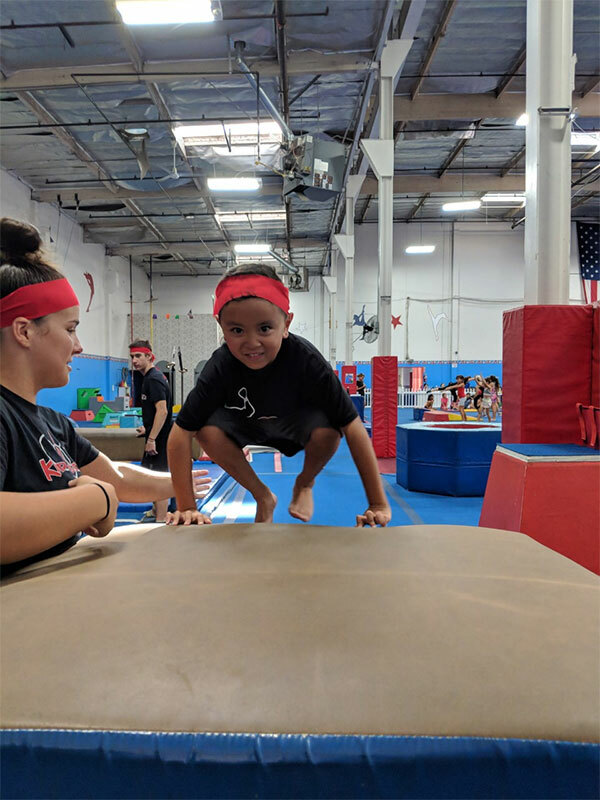 Gymnastics/Acro based coed classes that utilize fundamental movements to help increase athleticism, agility, and strength.